The Springfield SAINT AR-15 Pistol in .300 BLK is ready and heading to customers. Harnessing power and versatility in a compact platform, the Springfield SAINT AR-15 Pistol comes with a SB Tactical SBX-K forearm brace and a 9-inch Melonite CMV barrel. It also comes with a single-stage trigger, low-profile adjustable gas block and a patent-pending free-float, handguard design. 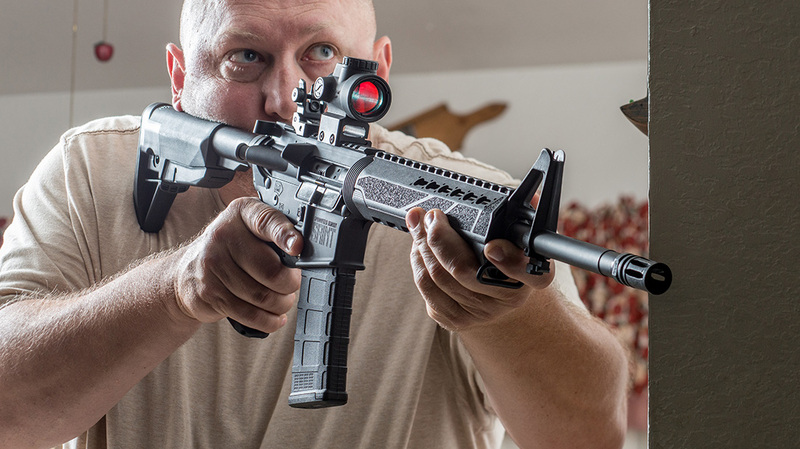 While compact, the .300 BLK chambering provides tremendous power, making the SAINT AR-15 Pistol excellent for close-quarters fighting, such as inside a home. It also comes with a free-float, M-LOK handguard and a pistol grip from Bravo Company. It also features a GI-style charging handle and a Heavy Tungsten Buffer. Even better, the SAINT AR-15 Pistol is also available in 5.56 NATO, for those preferring a lighter round. Many of its features are similar to the original Springfield SAINT, particularly the quality of the design. Combined with a quality sights or a low-power scope, the SAINT AR-15 Pistol provides an edge in maneuverability in a defensive situation. 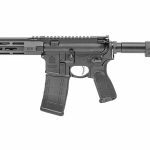 For more information about the Springfield SAINT AR-15 .300 BLK Pistol, please visit springfield-armory.com. 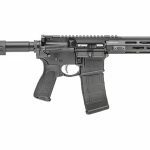 The post The Springfield SAINT AR-15 Pistol in .300 BLK Is Now Shipping appeared first on Personal Defense World.